The dog days of summer are upon us, which means soaking up as much sun and lazy days as possible. For me, this involves walking all the way to my backyard . . .
with lots of sunscreen and a big straw hat. 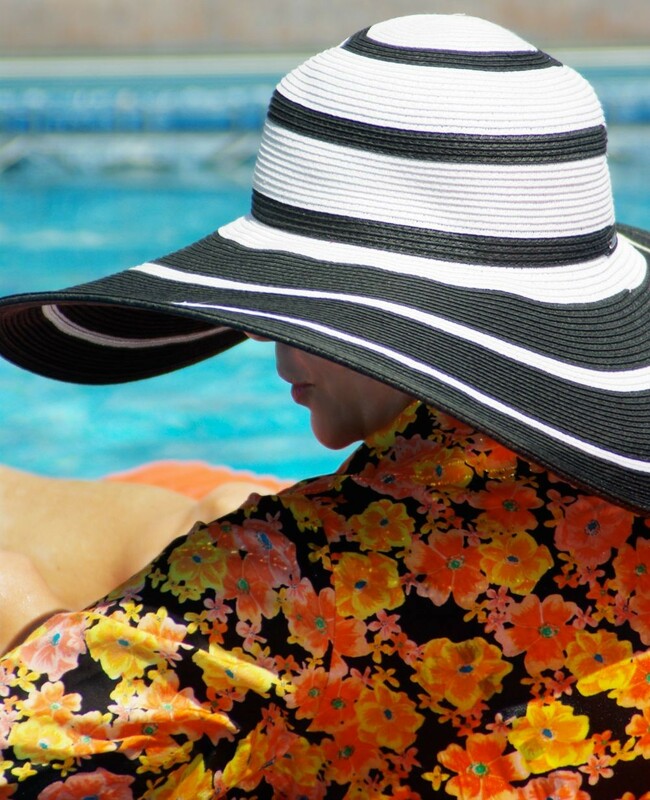 Nothing beats sun protection better than an oversize straw hat. I’ve loaded lots of them and am now heading to Lake Powel . . .
so if I don’t respond to you my friends (other than instagram) that’s the reason. Until next week, thanks for dropping by . . .
By the way, if you want to see lots of fun ways to wear some straw hats head over to Jill’s or Adrienne’s for this months HIWM. Lucky you! Enjoy the Summer weather. Enjoy my dear. And send me your address just in case. I will keep it in a safe place. For when I get bored with the purple jacket. I always love wearing big floppy hats. Love this with the kimono! I am a huge fan of huge sun hats. Have fun gorgeous lady!! Ah, enjoy that pool! 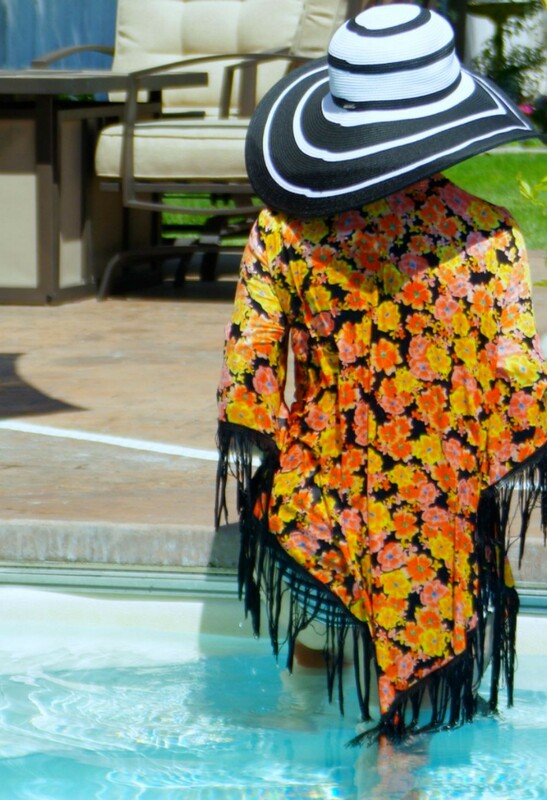 Love the kimono and oversized hat! Pool perfection! ok, i CAN spell my name, truly….